Fallout 76 has been one of the biggest video game launches of the year, with millions of people roaming the game’s post-apocalyptic West Virginia at the time of writing. As is often the case, though, some unscrupulous players have resorted to cheating in order to get an advantage in the game, using third-party programs in order to gain the upper hand in the PC version of the game. And many were shocked when it surfaced earlier this week that Bethesda had apparently been asking cheaters who had had their accounts banned to write an essay if they wanted to return to the game, as was reported on PC Gamer. Like badly behaved schoolchildren, Bethesda asked these players to write an essay titled “Why the use of third-party cheat software is detrimental to an online game community”. And now Bethesda has confirmed this request was real, doing so via a community lead on a Resetera forum, who also explained the reasoning regarding Bethesda’s actions. 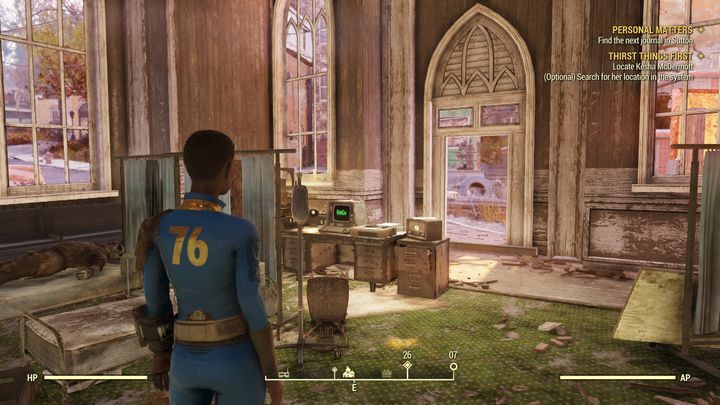 “We do not want players exploiting the game in ways that provide a competitive advantage or negatively impact the servers & gameplay experience of other players”, said Bethesda’s community lead. Bethesda also told banned players what kind of programs could get you kicked out of the game, amongst these being “speed hacks” and “bots”. A popular variant of the latter are the “Aimbots” which offer almost perfect accuracy and auto firing in the game, giving an unfair advantage to its user. But no matter how bad cheating might be (especially in an online multiplayer game like Fallout 76), perhaps Bethesda is being a bit condescending by requesting banned players to write an essay in order to make it back to the game, and perhaps should look at other options to reinstate cheating players. Either way, here’s hoping those who are playing Fallout 76 continue to enjoy the game despite other players’ cheating behaviour, and also that cheating stops being a problem in Bethesda’s game in the near future too.